This charger adapter is easy to setup and configure. Within minutes you can monitor a live video stream from anywhere in the world. All it needs is an external Wi-Fi signal. This functional emergency light comes with a 4K HD live streaming Wi-Fi camera with external memory (128GB MicroSD included). 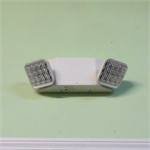 This unit is meant to be hardwired in like a normal emergency light, and it is perfect for long-distance viewing. 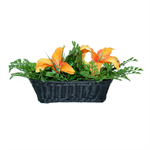 This new and improved fern would be a great decor option for your home or office. Replace your existing plant with this 4K WIFI FERN for something both attractive and useful. Looking for the most covert camera out there? Don't want to worry about the battery life? This is the ultimate in hidden cameras. The outlet DVR can replace any existing outlet in your home or office. Common clock radio with Wi-Fi IP capability. The live-stream video and audio can be viewed on a personal computer with the supplied software or on mobile device (iOS or Android) with a downloaded app. Now walk-around HD video monitoring is here and all you need is a Wi-Fi portable hotspot and others can monitor live video and audio right on their smart phones or computer. Make sure you are not missing out on any important evidence! Now with the WIFI 1080p Box, you can rotate the camera 180° all from the smartphone app to make sure you never miss out on any evidence. Easy positioning of this camera. This functional 6 plug wall outlet can support up to six devices and even comes with two functional USB ports. With this built in hidden camera, you can keep track of your kids, a nanny, or your home from a distance. Self-contained, covert security cameras,high definition, and self-recording system with Wi-Fi. No need for outdated receivers or extra connections to your PC or router. 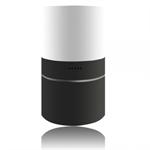 This battery operated bullet Wi-Fi camera is easy to configure, and to deploy. A Wi-Fi IP camera with IR has never been this affordable! All you need is a Wi-Fi hotspot and others can monitor live video and audio right on their smart phones or computer. 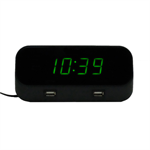 This battery operated mini clock Wi-Fi camera is easy to configure, and to deploy. A Wi-Fi IP camera with IR has never been this affordable! All you need is a Wi-Fi hotspot and others can monitor live video and audio right on their smart phones. Introducing the next generation of covert security cameras, self-contained, high definition, and self-recording system with Wi-Fi. No need for outdated receivers or extra connections to your PC or router. Easily monitor video from anywhere in the world, right on your smart phone! Works with iPhone, Android, iPad, or PC. This simple to use P2P network server can connect any standard normal analog CCTV camera. The live-stream video and audio can be viewed on a personal computer with the supplied software or on mobile device with a downloaded app. The worlds’ smallest Wi-Fi IP camera. At only 1” square, it can be used almost anywhere. The 940nm IR LED will let you see in total darkness, up to 15’. Stream live video anywhere. The Radar Detector is the perfect way to keep an eye on your car when you're not around. This camera disguised as a normal radar detector can be pointed inside or outside of your car to catch anything. Stream live video on a free app.